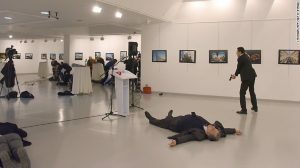 Russia’s ambassador to Turkey was assassinated at an art exhibition in Ankara on Monday. The gunman shouted, “Allah Akbar” and “Do not forget Aleppo!” as he opened fire. 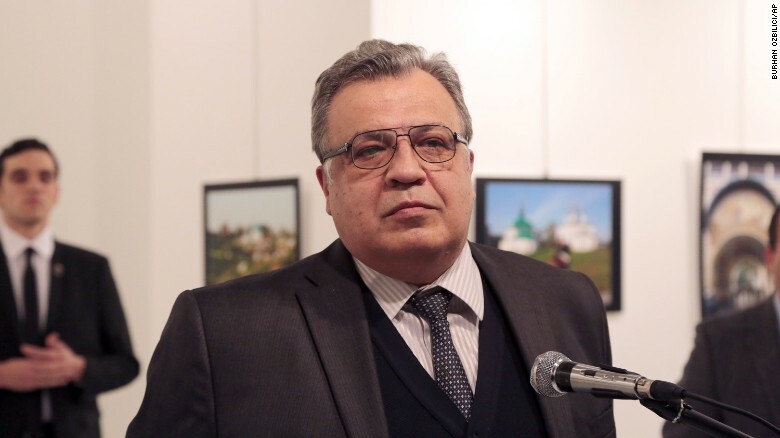 • Karlov was giving a speech at the opening ceremony of a photo exhibit when an assailant opened fire. • Images of the scene showed a body on the ground as a man with a pistol stood nearby. 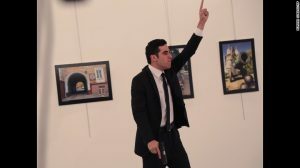 In a caption, The Associated Press news agency described the man with the gun as the attacker. 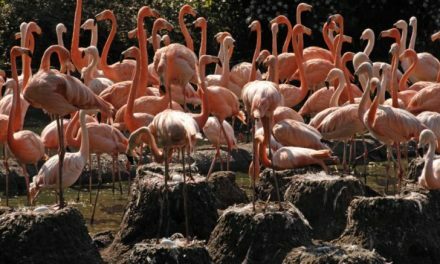 CNN has not independently confirmed the identities of the people in the photograph. “Get back! Get back!” the man can be heard shouting in Turkish as he waves a gun. “Only death will remove me from here. Everyone who has taken part in this oppression will one by one pay for it,” he said. 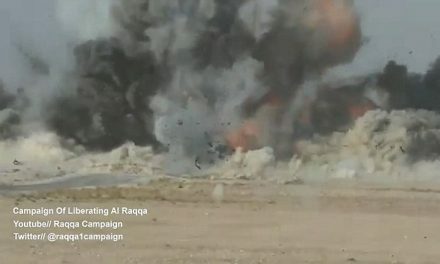 • The shooting occurred a day before diplomats from Turkey, Iran and Russia are scheduled to meet in Moscow to discuss the situation in Aleppo. • Authorities haven’t said who they believe was responsible for the attack. 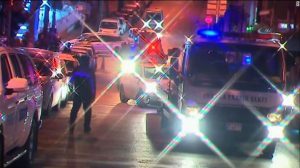 • Anadolu reported that the gunman had been neutralized. But it was not immediately clear whether the attacker was killed or captured by police.